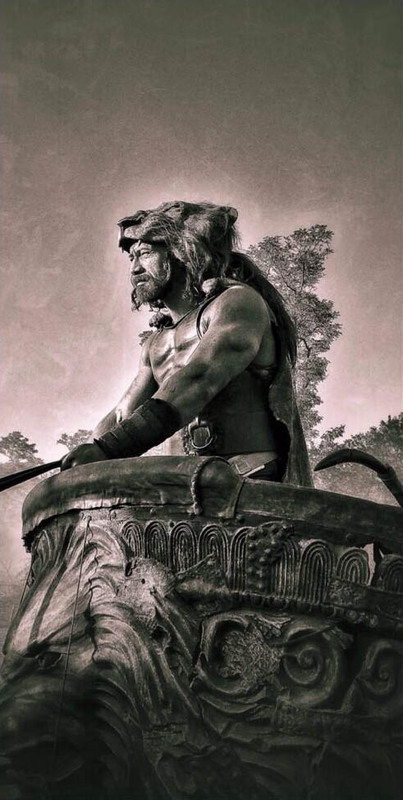 Dwayne Johnson is back on Twitter today with another look at his title character in director Brett Ratner’s Hercules. As you can see in the photo below, this is one of our first good looks at the demigod’s face. Johnson also reveals that, now fully wrapped on Hercules, he has officially stepped in front of the camera to begin shooting James Wan’s Fast & Furious 7. Fast & Furious 7, meanwhile, is set for a July 11, 2014 release. You can view more set photos by clicking here or on the photo below!